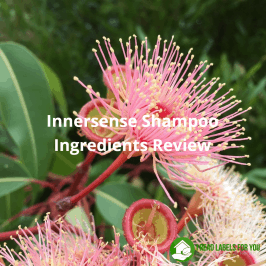 A lot has been written about 1,4-dioxane in cosmetics and personal care and cleaning products, which is used in a great many products, including shampoos, baby washes, and even toothpaste. 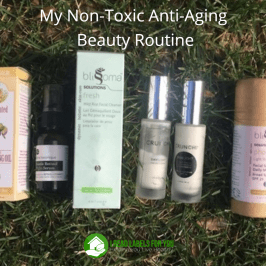 Here is a summary of some of the information related to this toxicant and most importantly how to avoid it. 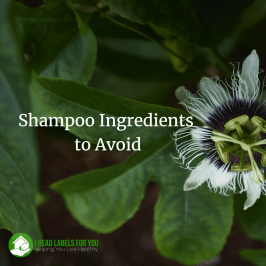 It is not an ingredient so do not look for it on product labels; rather, it is an impurity or a hidden ingredient or an unwanted byproduct. 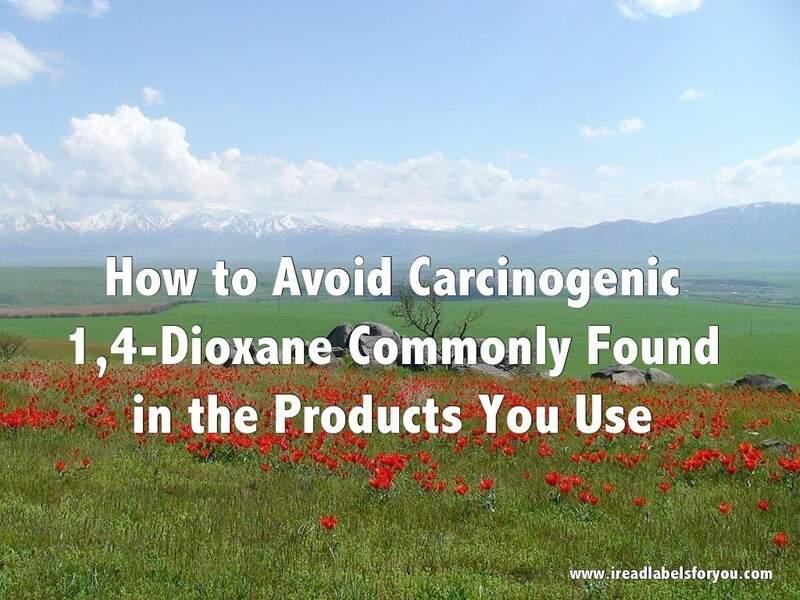 Some manufacturers voluntarily disclose that their products are not contaminated with 1,4-dioxane, but most probably do not. The Food and Drug Administration (FDA) does not conduct pre-market safety testing of new products or chemicals. To the FDA, a cosmetics and personal care products manufacturer must provide safety testing paid for by the manufacturer itself. 1,4-dioxane in cosmetics and personal care products is found as a result of ethoxylation, a method used to reduce the risk of skin irritation to harsh petroleum-based ingredients. The ethoxylation process requires the use of the cancer-causing petrochemical Ethylene Oxide, which produces 1,4-dioxane in cosmetics and personal care and cleaning products. Vacuum-stripping method, an inexpensive method, can be used to remove 1,4-dioxane from the final products but a lot of manufacturers fail to do so. 1,4-dioxane is considered a chemical “known to the State of California to cause cancer” under Proposition 65. The Environmental Working Group (EWG) has rated 1,4-dioxane at 8 out 10 (10 being the worst). 1,4-dioxane is suspected as a kidney toxicant, neurotoxicant, and respiratory toxicant, according to the California EPA. 1,4-dioxane is also a significant groundwater contaminant, according to The Environmental Working Group. Most in-home water filters, including activated carbon filters, don’t remove 1,4-dioxane effectively. Reverse osmosis filters are better, removing a significant portion of the chemical from tap water, yet, fall short. To read more about water filtration, visit here. The Consumer Product Safety Commission (CPSC) has agreed that the presence of 1,4-dioxane, even as a trace contaminant, is cause for concern. It is nearly impossible to prove that a specific case of cancer was caused by a specific product in the judicial system. 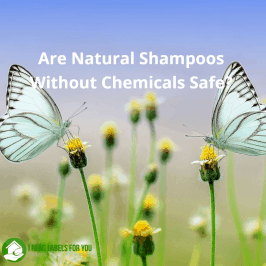 According to the 2008 Organic Consumer Association and EWG study, 46% of personal care products and 57 percent of baby soaps are contaminated with 1,4-dioxane, and not much has been done since then. The Organic Consumer Association has conducted an independent test of the presence of 1,4-dioxane in cosmetics and personal care and cleaning products. The cumulative results for 2007-2010 were formerly located at http://www.1-4dioxane.com/uploads/Dioxane-Results-2010.pdf but the study is no longer available. To avoid 1,4-dioxane in cosmetics and personal care and cleaning products, avoid products with ingredients identifiable by the prefix or designations “PEG,” “eth” (such as “myreth,” “oleth,” “laureth,” “ceteareth,” and “polyethylene)” “polyethylene glycol,” “polyoxyethylene,” or “oxynol.” Those ingredients may be contaminated with 1,4-dioxane. Do you know if Monat products contain this? I’m unsure how to find out! Hi, I’m interested in whether you have a reference for this statement, “The levels of 1,4-Dioxane in many cosmetics and personal care and cleaning products are 1,000 times higher than those found to cause cancer in laboratory animals.” I’m not doing this to pick on you, I’m just really alarmed by this statement and I’d like to learn more. Thank you!